Education users will have to wait some more. As of yesterday, Microsoft has officially rolled out Teams to Office 365 business users. That’s more than 85 million subscribers, in 181 markets and 19 languages. 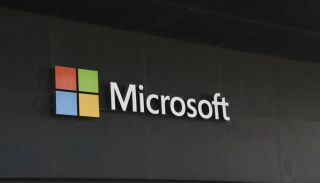 Teams will come to all the subscribers with no additional cost, and Microsoft hopes it will become a central hub for business communication. Since the public preview, back in November, Teams has gotten 100 new features, Microsoft said in its announcement, adding that it’s not trying to eliminate or replace email, rather to complement it with a useful chat feature. "We see Teams as a chat-based workspace," said Brian MacDonald, the corporate vice president and head of Microsoft Teams. "Outlook is a hub you live in. Teams is a hub you live in. Unlike Slack, we are not trying to kill email. We're building strong integration between the two." Bots in teams are also now available, and so is public teams support. Commenting on the announcement, IPCortex CEO Rob Pickering warned about data siloing. “Instead, value for the business is being able to provide open, joined up, contextual communication solutions that allow people to interact with businesses, customers and the real world using all, and any, available media."